If you are in need of booking a model or actor, call our staff of professional and experienced booking agents. We can email talent photos and resumes as well as rate information per your casting project need and budget. Our email address will be given to clients or talent upon request. Talent requesting information should first click on the menu heading "About Us" to learn more about the agency, and then click on the menu heading "Join Us" for submission information and policy. Please read all of the detailed instructions to know exactly what materials to mail to us. 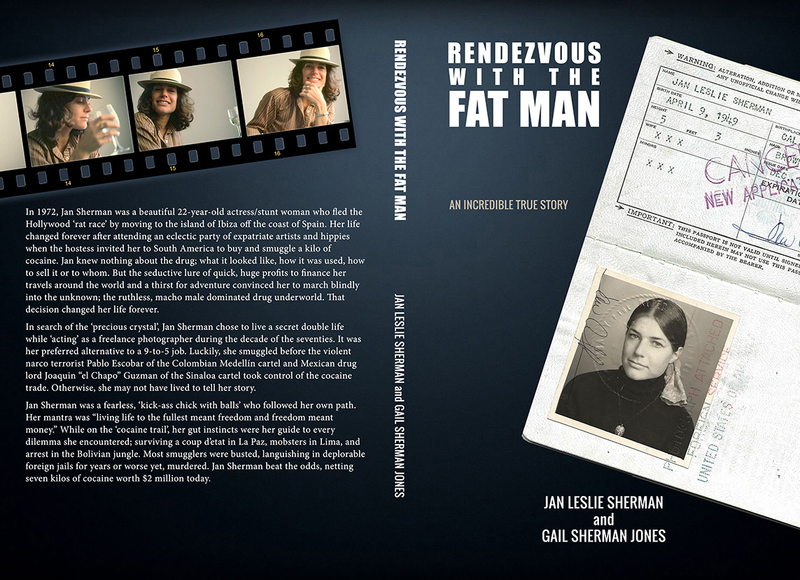 I'm so proud to announce the publishing of my book RENDEZVOUS WITH THE FAT MAN which is based on the incredible true story about my sister, Jan Sherman and her secret double life as a cocaine smuggler from 1972 to 1980. I learned that enlightening fact after her tragic death in January 2013 when I discovered a manuscript she wrote about her illicit activities. During the 1970's she had made eleven trips to South America and scored seven kilos of coke, netting over a half million dollars (equivalent to about $2 million dollars today). The book not only chronicles my sister's perilous exploits, but also intertwines her drug smuggling trips around our family's dysfunctional relationship and reveals the details of her untimely death after retiring from the drug trade. I would love to share my sister's compelling true story with you, not to be lost with her demise. At the end of the book, there's a bonus portfolio of 68 photos in black and white and color. You'll be able to see the 'real cast of characters', as well as an amazing travelogue of Jan's photojournalism while experiencing her adventures in South America, Africa and China. I have included a link to the Amazon Store to purchase the paperback or you can also purchase the book on Kindle. If you buy the book, I would love your feedback, if possible, by adding a review. ENJOY!! !